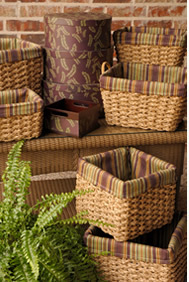 Through 15 years of demonstrated leadership and excellence, Alliance Sales has developed a virtually limitless reach to the Global marketplace of Baskets, Home Décor and Craft products. Alliance provides the worldwide manufacturing solutions and resources your company really needs. Alliance Sales and Marketing is deeply committed to understanding industry trends and building strong factory relationships, while maintaining high standards of integrity. We bring craft and home décor products from global sources to major U.S. retail chains, enabling them to customize an exclusive product mix at an improved value to meet their customer’s needs. © 2010, Alliance Sales. All Rights Reserved.